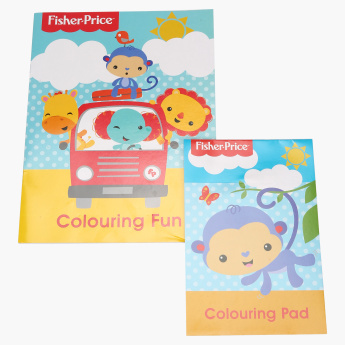 Fisher-Price Colouring Book - Set of 2 | Multicolour | Get ready for some coloring fun with this amazing set of 2 activity pads by Fisher Price. Keep your kids engaged with this set of coloring books that would help them improve their art skills. This is an ideal pick as your young ones will have fun coloring the popular characters while also developing an interest in art. Feature 1 : Get ready for some coloring fun with this amazing set of 2 activity pads by Fisher Price. 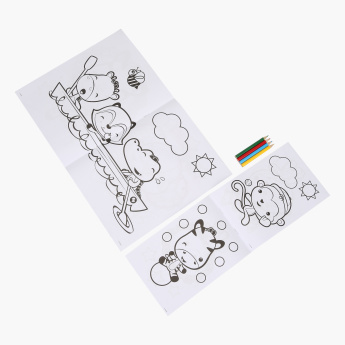 Feature 3 : The set also comes with 4 coloring pencils (red, blue, green and yellow) which will bring the pictures to life. 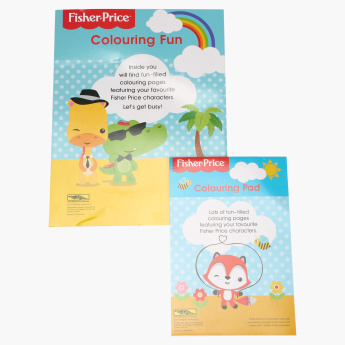 Feature 2 : The coloring pads consist of over 30 coloring pages featuring popular Fisher Price characters.